Residence "this property". 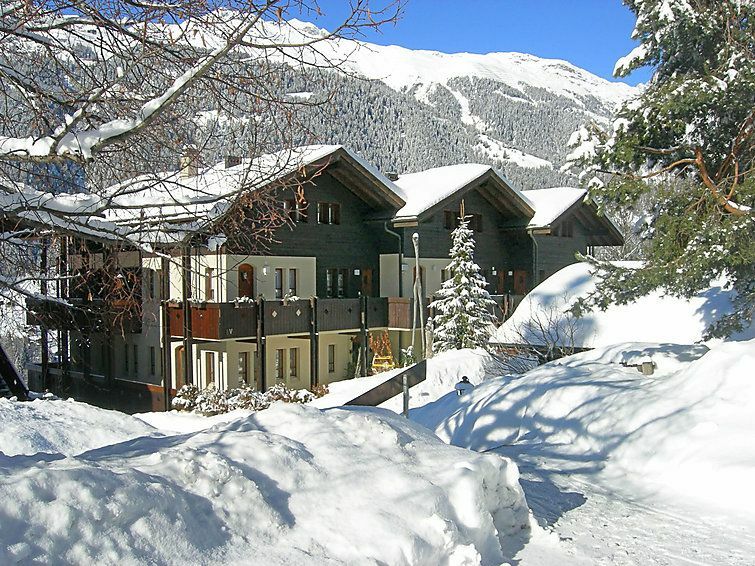 On the outskirts, 500 m from the centre of Ernen, in a quiet, sunny position, 5 km from the skiing area. For shared use: table tennis, barbecue, fireplace, children's playground. In the complex: restaurant, lounge with TV, internet access, table tennis, central heating system, washing machine, tumble dryer (for shared use). Motor access to the grounds. Communal covered parking. Shop 500 m, bus stop 100 m. Tennis 2 km, indoor tennis centre 2 km, sports centre 2 km, gondola lift 2 km. Please note: ski bus (free of charge). There are more similar properties for rent in this same residence. The new hanging bridge connects the two hiking estates of Ernen and Bellwald and provides access to the national cycle route nr. 1 (road of the Rhone glacier lake to Lake Geneva). Between Ernen and Mühlebach, the bridge provides direct access to the Matterhorn Gotthard train. 2-room apartment 48 m2. Bright, tasteful furnishings: living/dining room with TV, cable TV, flat screen and radio. 1 room with 1 french bed (2 x 90 cm, length 200 cm). Open kitchen (oven, dishwasher, 1 ceramic glass hob hotplate, electric coffee machine, Capsules for coffee machine (Nespresso) extra). Bath/WC. Balcony. Terrace furniture. Very beautiful view of the mountains and the valley. Facilities: Internet (WiFi). Please note: non-smokers only.